I stated in a blog post that unfair gun laws would make good people go bad. Some idiotic jackass responded that if that were the case then "you weren't good to begin with". Ignoring that stupidity, what I warned about is coming to pass. If you take the time to surf the gun community you'll find a lot of what you see above. Statements like the one I made. That I was born free, I'm a good citizen and I will not surrender my arms. Say they try an Australian confiscation scheme? 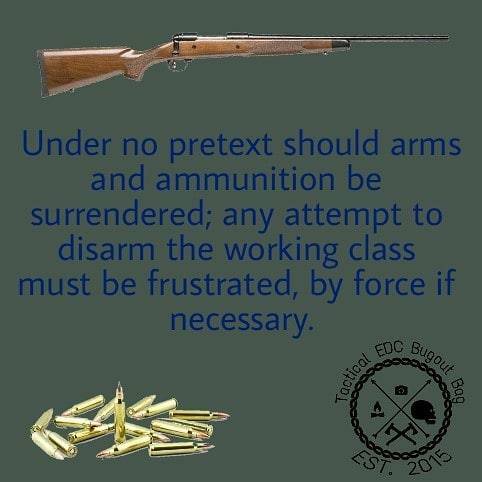 We know from the example that Mass set that compliance with surrender laws isn't going to work. We can see the same in California. We know from Chicago and other big cities that criminals will still get guns so what if they go full bore? I'm guessing at a minimum you'll have 10% of gun owners not only NOT comply but for those people to also actively resist. It will take the govt turning to NSA, compiling information from the net on US citizens and then working out some arrangement with local/state law enforcement to take down the most strident. If they actually want to enforce new, draconian laws against the 2nd Amendment then they must violate other laws against the other Amendments.